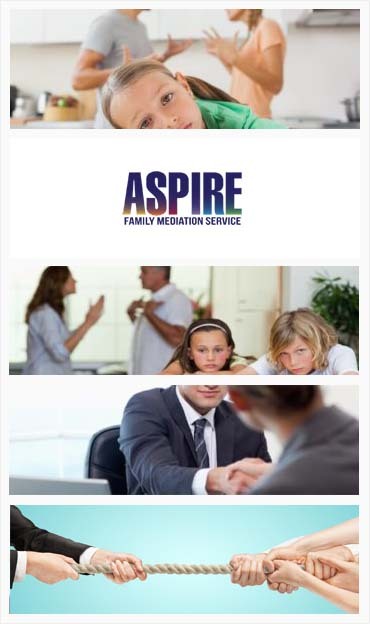 Aspire Family Mediation Offer Mediation in Bedford. Contact us today to book an assessment! The best decisions in your life are made through negotiation and discussion. This should apply to your personal life as much as your business and financial affairs. As mediators, we would ask that you take a moment to consider the alternatives to legal action for your divorce or separation. In most cases this can be a very blunt instrument when approaching personal issues. It involves high costs and can cause great damage to future interactions with your partner, children and grandparents. Before considering legal routes, take a closer look at mediation. Even if you have firmly decided upon a legal route, in most cases you can not avoid mediation. Before undertaking court action you will need to have shown that you have attended MIAMS (Mediation Information and Assessment Meetings). There are exceptions to this, but we advise you to always consult with us first. The FM1 form should be completed if you do not attend MIAMS. Again, we can advise on this. Our Mediation service in Bedford is not a frightening process. The first part involves the mediator discussing with each partner, on an individual basis, whether mediation is an appropriate procedure for them. This will be done privately. If the partners decide that mediation is for them, we will then conduct a series of meetings. These can be conducted in a variety of ways. Sometimes the partners will be in the same room, in other cases the mediator may have to go from partner to partner. The real advantage of mediation is this flexibility. At the end of the process the mediator will help you to arrive at a mutually agreeable decision which will be the end of the process. Reduced costs. You will not be paying substantial legal costs. Mediation is a much more cost effective method than legal proceedings. Flexibility. Mediation works around you and your schedule. Control. You are in control of the mediation process and may decide to leave it at any time. The modern solution. Mediation is a much more efficient way of achieving a result than the old fashioned legal route. Couples often find that their lives are entangled. Whether it is children, property, financial assets or grandparents (and other members of extended families) there are many complex relationships to be discussed. The beauty of mediation is that it brings all of these things into the mediation procedure. In addition, children and other members of the family can be informed about the mediation procedure.